So SANZAAR…. At last…… It is all clear…. As mud! Finally, SANZAAR have confirmed what has been something of an open secret for some weeks. South Africa will lose two Super Franchises, and Australia will lose one. A nice team photo of all the SANZAAR suits standing together behind a table accompanied the press package handed out when then announcement was made. 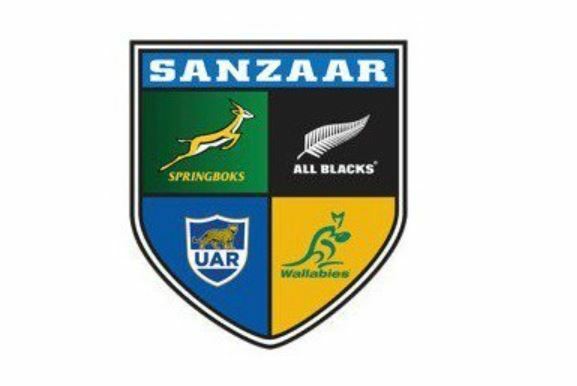 SANZAAR announced that the Super Rugby tournament has been restructured and will kick-off in 2018 with a three conference, 15-team format: five teams from New Zealand, four from Australia, four from South Africa, one from Japan and one from Argentina. The change sees the Sunwolves move into the Australian Conference, a far more logical arrangement than the current silliness of, firstly, shifting them into the Western Hemisphere, and then shifting them South and calling them an “African” team. The Jaguares remain an “African” team and will play on as a member of the South African Conference. * There will be a 120-match regular season plus a seven match finals series * 15 teams will participate in the regular season. * There will be three conferences (Australia, New Zealand, South Africa) * There will be 18 weekends of Super Rugby. [16 matches per team, two bye weeks] * Each team will play eight matches within its conference (Four home and four away.) * Each team will play eight cross-conference matches – against four of the five teams from each of the other two conferences (four at home and four away) * Each team will play 12 of the other teams within the season (85% of opposition teams which is up from 70% in 2016). * Eight team Finals Series: Three Conference winners and; five wild card places – the next best performing teams based on competition points after the Conference winners regardless of Conference. *The three Conference winners and fourth-placed team on competition points will host quarter-finals. Reading between the lines, it does seem that Mr Marinos and his employers have not fully accepted that their attempt to take over World Rugby by constantly expanding Super Rugby across continents, hemispheres and seasons is doomed to abysmal failure. They are still talking business-speak about commercial revenues, products, building the brand and strategic plans. There is no doubt that the dropping of three teams has not met with universal approval in the various member countries. Although there have been some disconsolate mutterings in South Africa, especially with regard to the future of the Cheetahs, the reaction in Australia has been worthy of the most spectacular toddler tantrum you could ever wish to see. Rugby Union Players Association boss Ross Xenos angrily condemned the “short-sighted” decision to cull an Australian Super Rugby team, saying the loss of the team will limit the growth of the game in Australia for generations. Xenos did not mince words as he slammed the announcement: “Australia’s professional rugby players are incredibly frustrated and deeply disappointed by today’s confirmation that the Australian Rugby Union (ARU) has voted to axe an Australian team from Super Rugby in 2018 and beyond,” said the RUPA CEO. Of course, Mr Xenos has not given any indication how the retention of the extra team would benefit Australia. He neatly avoids talking about the fact that three of their five current Super franchises are financially bankrupt and unsustainable, and the fact that Australia already does not have sufficient player depth to justify five franchises. He makes no mention of the lack of spectator support, media support, or commercial sponsors for the game in Australia. He simply does not take into account that the game is in very very serious trouble in his country at the moment! So much so that Force captain Matt Hodgson broke down in tears in a post-match press conference and issued a plea for his club to remain in Super Rugby following SANZAAR’s announcement of a competition restructure. Speaking after the Force’s 46-41 win over the Kings on Sunday, Hodgson took aim at SANZAAR for its handling of the situation and expressed his disagreement with Australia losing a team. Hodgson then got teary when speaking about his son and how the impact of a decision to cut the Force would impact the code in the west. While the collective Australian dummy is whizzing around in low earth orbit and while Cheetah supporters are crying into their beers (there are no Kings supporters that I am aware of) there are some stark facts that must be faced. Super Rugby was a broken “product” – It had become unwieldy, impractical and unworkable as the administrators tried desperately to fit 18 teams from as far apart as Tokyo, Cape Town, Buenos Aires, Brisbane, Dunedin, and everywhere in between all into one competition. A team from Asia was somehow shifted across multiple hemispheres, moved into the South-Western quadrant of the planet and deemed an Africa team. The Argentineans found themselves in Africa too. South Africa suddenly had two conferences, and thus two automatic qualifiers for play-off slots no matter how good or bad the results had been on the rugby field. The competition is unpopular with the participating players, coaching staff and franchise administrators – the Aussies in particular have whinged and whined about having to go and play in Africa – with excessive travelling requirements, strange “home” grounds in places like Singapore, and a fixture list from hell. The competition is hugely unpopular with the spectators, tired of dreary survive-at-all-costs rugby between teams of mediocre players and a continual diet of local “derbies” without the interest of foreign opposition to break the monotony. Tired of too much rugby on offer. Tired of too much of the same, over and over and over again. Stadiums, even the smaller ones found in New Zealand, are echoingly empty as spectators stay away. Television viewership numbers are down across all three the major participating countries. And, even more worrying for the salesmen of SANZAAR, the commercial sponsors are starting to edge away from their “product” – the money that makes their rugby world go around is starting to run scared. Something had to be done to save Super Rugby! Much as a human being who has a terminal illness seeks medical help and is prepared to submit to almost any kind of treatment, including radical invasive surgery to remove the malignant, the bad, or the superfluous, so too SANZAAR and Super Rugby needed surgery. Trimming away three franchises is a good start, although there are many, myself included, who do not believe that the surgery has been radical enough. The competition remains too big and unwieldy, with a complex conference structure and automatic qualifications for conference winners despite their actual standing on the log. There are still too many fixtures, there is still too much travelling, and there will still be too many nothing games. Super Twelve Rugby was the very pinnacle of rugby, the best playing the best in a Round Robin of home and away fixtures. It produced wonderful, innovative, and hugely competitive rugby. Super 14 diluted the “product” and then Super 15 made it an anemic parody of what used to be. Super 18 was the misbegotten child of the woefully misguided. There is a very simple solution, one that will accommodate all the teams Australia can find in their western reaches or even the Outback. Teams from the Pacific Islands can be included too, even a second Japanese team, another Argentinean team, more South African teams, even a South American continental team could be added. Structure Super Rugby into a TWO-TIER competition. Super Twelve and Super Development. Allow for promotion/relegation matches between the winners of the Super Development competition and the losers of the Super Twelve. Such a two-tier structure will satisfy the aspirational needs of the also-ran teams such as the Cheetahs, the Kings, the Force, the Rebels, the Reds, perhaps the Blues, the Jaguares, the Sunwolves, perhaps Samoa, Fiji, Tonga, Chile, Peru……. It will surely satisfy the megalomania of the administrators that want to dominate world rugby. And Super Rugby will again be the best in the world. The change back to a Super 15 competition is welcomed, if not by everyone. There are some hard moments that must be faced. Somewhere around 100 players and assorted coaching, support and administration staff will soon be looking for new jobs. Some of the better ones will be absorbed by the remaining Super Rugby franchises, some will head off to play in Japan, France, England or wherever, but the bulk of them, many being mediocre players of no great talent, will be without a job. While RUPA wants to protect these players, the reality is that you actually need to be good enough to earn a living from rugby, otherwise professional rugby is not for you! The real truth is that the depth of the player base in Australia and South Africa cannot justify the number of teams they currently have in the competition – their talent is spread too thinly. Despite the RUPA tantrums and the tears of Matt Hodgson, despite the disappointment of local supporters in Bloemfontein or Port Elizabeth and the red hued anger of politicians, the changes will actually be good for rugby! The Aussies tried to form a breakaway Super Rugby competition that excludes South Africa, but their proposal has been rejected outright by New Zealand. The Australian Rugby Union’s bid to go it alone with their New Zealand counterparts in a separate “Super” competition was always doomed to failure. Apart from the fact that New Zealand Rugby has always been keen to keep relations healthy with South Africa due to their historical rivalry and the financial upside the South African element of the broadcast deal provides, New Zealand’s players themselves want to keep the link. ARU chairman Cameron Clyne revealed the breakaway proposal to the media today, saying New Zealand Rugby rejected it outright. Bill Pulver, ARU boss, has said he will step down as the backlash, anger, and finger pointing in Australia reaches boiling point about the loss of an Australian Super Franchise. He says he will go “in an instant” if that is what Aussie rugby wants. Testing the limits of credibility.